Alkadir Mohamed, 22, of Mississauga is seen in this Peel Police handout. A Mississauga man wanted in connection with a robbery, forcible confinement, and extortion case involving a female victim is actively evading arrest in the GTA, say Peel Police. Investigators allege the offences took place in Mississauga and they’re asking the public to help find the suspect. 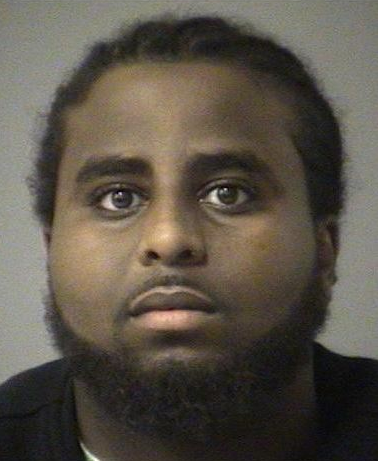 An arrest warrant has been issued for Alkadir Mohamed, 22, of no fixed address. Mohamed is known to frequent hotels in Mississauga, said Const. Harinder Sohi. He’s described as black, standing six-feet, weighing 256 pounds with a heavy build. He has short, black hair with corn rows, a black beard and moustache. Anyone with information is asked to phone the central robbery bureau at (905) 453-2121 ext. 3410 or Crime Stoppers 1-800-222-8477.